Explore a new way to add colour to your linocuts. We will hand-colour your linocuts using watercolour, to create “varied edition” prints. Linocut is one of the most accessible forms of printmaking, used by many famous artists including Picasso. 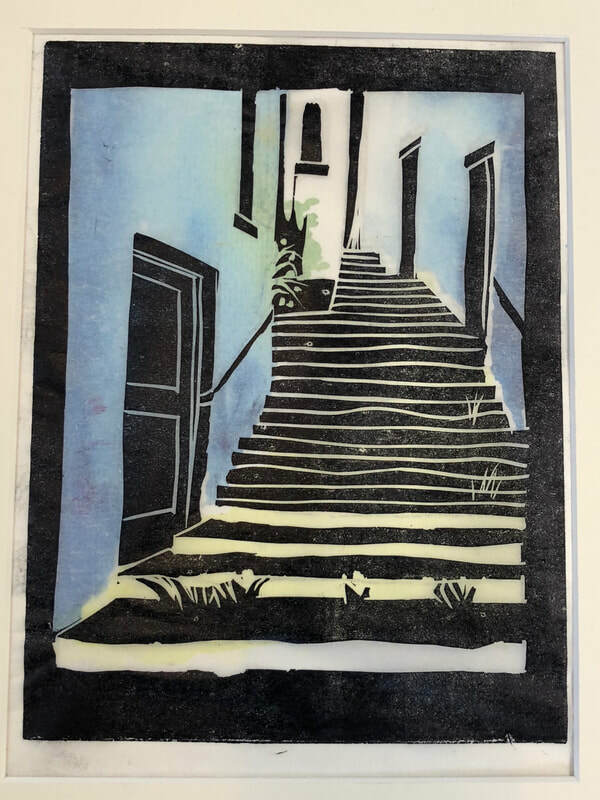 You will learn how to create bold, expressive images by carving into a lino block and printing it in rich oil-based colours. Printing will be done by hand or a basic table top press supplied by the tutor. If you do want to buy lino, tools or paper from the tutor please let her know beforehand so she can order enough materials. Please make sure you contact the tutor (tel: 07790 995040/ email: jessicaroseartist@gmail.com) two weeks before the course to allow time for her to place an order for the materials. The tutor has a card reader if you want to pay by debit card. You can also pay by cash or cheque.